The Supreme Court has decided to take up a gun rights case for the first time in nine years, this time a challenge to New York City’s law that prevents lawful gun permit holders from transporting their unloaded, locked up weapons outside the city limits. The city residents who launched the original lawsuit wanted to practice shooting at target ranges outside the city or transport their firearms to second homes elsewhere in the state, but the city wouldn’t let them do what they wanted with their property. Members of the pro-Second Amendment majority on the Supreme Court may be looking to flex their muscles. The fact that the high court decided Jan. 22 to grant certiorari, or review, in the case obviously does not guarantee the court will overturn the New York City law, but it seems to suggest that the originalist, pro-gun rights justices who form a majority on the court are seriously considering reining in the law. 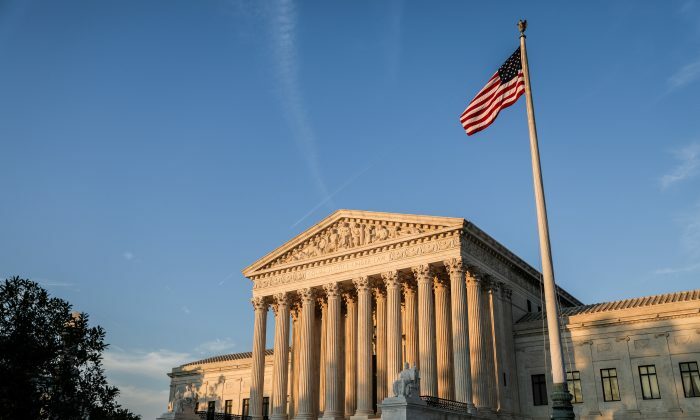 There is also no indication from the Supreme Court’s order list posted online that any of the court’s nine justices dissented from the decision to hear the case known as New York State Rifle and Pistol Association v. City of New York, file number 18-280. Former U.S. Solicitor General Paul Clement, a veteran of Second Amendment battles, has urged the high court to expand on the constitutional gun rights it articulated in District of Columbia v. Heller (2010), which protects an individual’s right to possess a firearm, and McDonald v. Chicago (2012) which holds the right of an individual to “keep and bear arms” is constitutionally incorporated, or made applicable, to the states. Clement said the Big Apple case “is a perfect vehicle to reaffirm that those decisions and the constitutional text have consequences.” Seventeen states back the case and have urged the Supreme Court to overturn the New York City law. The decision to hear the case comes after the court turned back various challenges to state gun laws in the last few years. In June 2016, the court refused to hear a challenge to the classification of various firearms as “assault weapons” by New York and Connecticut. In November 2017 the court declined to hear a challenge to Maryland’s assault weapons ban. In February 2018 the court refused to take up a challenge to California’s 10-day waiting period for gun purchases, prompting a stiff rebuke from Justice Clarence Thomas who voted to hear the case. Thomas noted that California had the second-longest waiting period in the nation and it privileged peace officers and special permit holders by exempting them from the wait. Quite apart from the New York City law, gun rights are under heavy assault in New York state, argued conservative journalist Charles C.W. Cooke. New York City has some of the most draconian gun laws in the nation. As a summary in the court file notes, the city forbids residents from possessing a handgun without a license, and the only license the city makes available to most residents allows holders to possess a handgun only in their home or in transit to one of seven shooting ranges within the city. This means permit holders are not allowed to transport a handgun to any place outside the city’s limits—even when the handgun is unloaded and locked in a container separate from its ammunition, and even when the owner seeks to transport it to a shooting range outside the city or to a second home in order to use it for self-defense. Although the city claims the oppressive transport ban promotes public safety by limiting handguns on city streets, it has provided no actual evidence the regulation contributes to public safety, according to the summary. “Moreover, even if there were such a risk, the City’s restriction poses greater safety risks by encouraging residents who are leaving town to leave their handguns behind in vacant homes, and it serves only to increase the frequency of handgun transport within city limits by forcing many residents to use an in city range rather than more convenient ranges elsewhere,” the summary stated. A date for oral arguments in the gun rights case has not yet been scheduled by the Supreme Court.